watching videos, writing documents and editing photos and video clips. users then look at the rankings down the right hand side. are really going to be useful for a beginner or everyday user. average computer user should be using as their first port of call.Click here for a new article analysing the top 10 Linux distributions of 2015.
system trays and menus then Linux Mint is definitely worth a go. is the first Linux based operating system that they try. opinion and not necessarily fact. desktops, laptops, tablets and phones. have a really good operating system. hundreds of other distributions including Ubuntu and Linux Mint. large number of applications available for users to install. challenge compared to Ubuntu or Linux Mint. pretty much guaranteed to work. more of a learning curve than Linux Mint or Ubuntu. 10 years ago the Linux landscape looked a lot different to how it looks today. 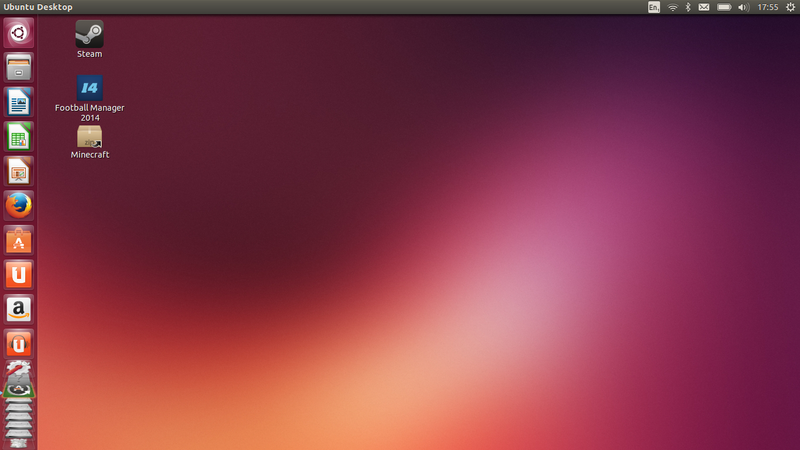 Ubuntu was still in development. distribution targeting the same sort of users as Ubuntu and Mint. to Linux should try out. including Gnome, KDE, XFCE and LXDE. use. Fedora’s name quite often comes up. then Fedora is definitely the way to go. tricky customer and you may find the odd issue as you go along. hoops to install proprietary software and drivers. 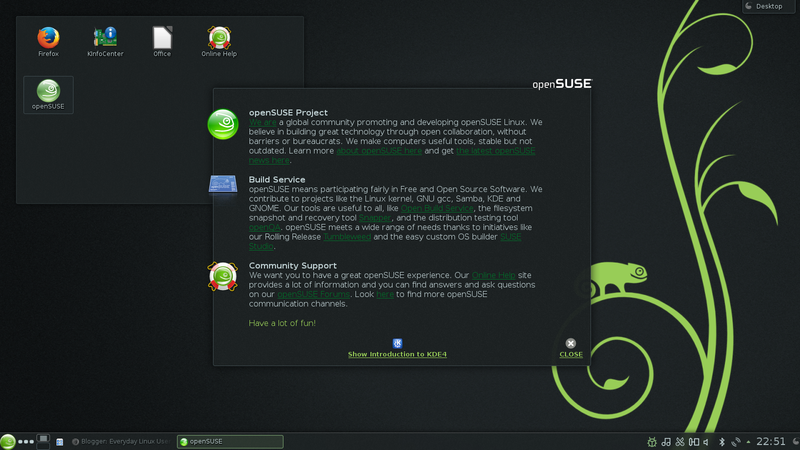 openSUSE is a community distribution with big backing. environments to choose from including Gnome, KDE, XFCE and LXDE. looking for an alternative to Mint, Mageia and Ubuntu. aforementioned distributions (with the possible exception of Linux Mint). community is very friendly and supportive. available and therefore it caters to modern and older computers. Manjaro provides an instant entry point into the world of Arch Linux. performances very well on older and modern hardware. steeper than the likes of Mint, Ubuntu and PCLinuxOS. then Arch is definitely not your first port of call. your next port of call. your feet (sounds like a job specification, must be a self-starter). to be installed to the hard drive although it can be. and VLC but there are a host of lightweight alternatives installed by default. systems currently occupying the top slots at Distrowatch. are most relevant to your situation. I have created a new list which performs the same analysis of the top 10 Linux distributions but this time for 2014. 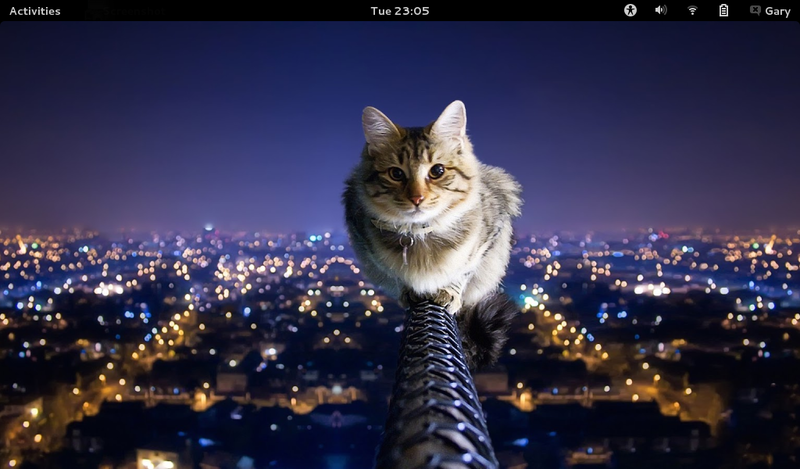 In the meantime why not check out “The 7 best alternative Linux distributions of 2014“. Thanks very much for your overview. What do you think of Korara? is it so much better than Fedora? 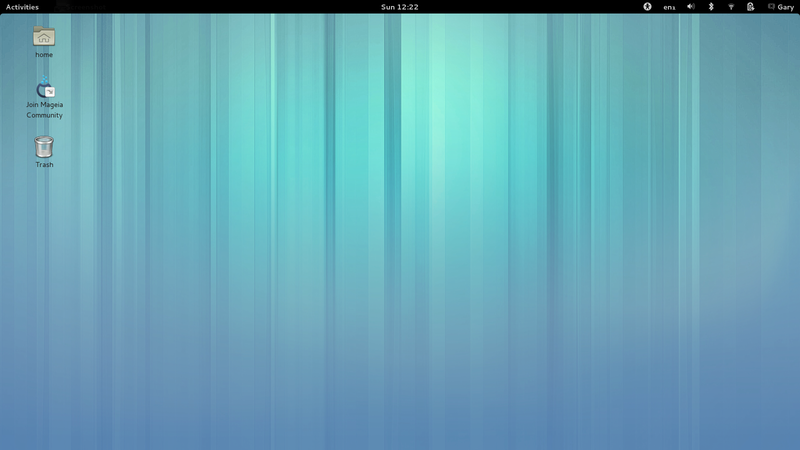 I've tried Fedora, it was OK, but font rendering was yuk… maybe Korara is the same, yes? Also, would you be willing to do a piece on improving font rendering in Debian based distros (step-by-step)???? I'm using SolydXK right now which is an amazing disto, just wish rendering was better. Solis OS had the best rendering astounding that I've ever seen in Debian spins, Semplice has execellent rendering- Why is it that some distros do, some don't??? I've been using Korora for a while (the KDE version) and it's been great. Not sure about the Gnome version (I'm a fan of Gnome 2 with a strong dislike of Gnome 3) – perhaps you could try it in a virtual machine? Thanks for reminding me of VBox! Korara looked great in VM! Now am running live usb and font rendering is BEAUTIFUL–all else (performance, etc) seems just perfect!!! Will install little later! Hi, I have reviewed Korora in the past. Please check out the reviews link at the top of the page. Nice article, but this is not 10 different "operating systems". It's all Linux, just ten different flavors of it. It just happens to be that 95% of operating systems use Linux kernel. Does it mean it is "the same" operating system? Depends on your definition of operating system. Do you include GUI? Linux isn't an operation system, not even by far. It's merely the kernel. Arch Linux is an operating system that by default comes without a GUI. A Linux distro (that's how OS's powered by the Linux kernel are often referred to) is merely a set of packages and a Linux kernel. So yes, this article does describe 10 different "operating systems" or "distros" but certainly not flavors (the Linux kernel doesn't come in different flavors, just different versions). Different Linux distributions are not really different operating systems. They use the same kernel, the same C library, and the same (or compatible) utilities. This makes it so that they are binary compatible with each other. When people refer to Linux distributions, historically they are talking about distributions of what people generally refer to as the "Linux operating system." Technically, Linux itself is the kernel only, but there is an operating system that people often refer to as "Linux." Some refer to it as "GNU/Linux." These systems are all variations on that same operating system. There is much more technical difference, for example, between the old DOS based versions of Windows like 98 or ME and the newer NT based versions like XP or 7. Even though NT based versions of Windows would run much of the old software for DOS based versions, it really is appropriate to think of Windows NT as a different operating system. Since the transition to NT based versions of Windows, however, when a new one comes out, people refer to it as a new version of the Windows operating system, not a different operating system, and that's correct. Android, on the other hand, though it uses a Linux kernel, uses a different C library and is binary incompatible with all these Linux distributions. That makes it a different operating system rather than just a different distribution of Linux. There are even multiple distributions of Android, but the varying distributions of it are not different operating systems; they are all Android. Similarly, different distributions of Linux are not different operating systems, they are all (for lack of a better term) GNU/Linux (often referred to just as "Linux," though people are referring to the operating system and not simply the kernel). I only clicked on this article in my RSS to complain about the title, but someone beat me to the punch. I think we are arguing over semantics really. For instance the amount of times I have heard people say Linux isn't an operating system it's a kernel, GNU/Linux is the operating system. Great. Then other people say that a distro isn't an operating system, Linux is. Is anybody really that bothered whether you call a distro and operating system? Isn't this the same argument that people use to determine what is a sport and what is a game. Darts can't be a sport because you can do it in the pub, yet horse riding is? it's not semantics. It's the fact that most folks who hear the word "Linux" immediately associate it with different flavor of distributions. The fact is Linus Torvalds created a kernel for bulletin boards users to contribute back in his university years = kernel. From its inception, the arms, legs, torso got assembled from this "stem cell = Linux". Does that make sense? The main problem here is you people are: Over complicating things. Keep it simple, Calling it an "operating system"(whether it really is or not) doesn't matter much, it's a word that more people will understand and identify with and it doesn't hurt anyone to call it that. Keep it simple. None of us needs unnecessary complication. I have been using Peppermint OS Four 32bit for about 2 months as part of a dual boot system with Crunchbang 11 Waldorf 32bit. Peppermint is an absolute doll of a distro. It doesn't get any easier than this. 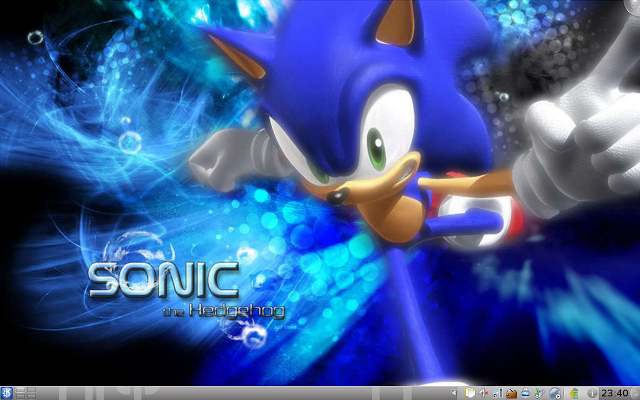 It is based on Lubuntu 13.04. It is a hybrid system, meaning that it is very webcentric like a Chromebook but it also functions as a standard desktop OS too – very nice. It has been described as being to Lubuntu what Mint is to Ubuntu. Specifically designed with new users in mind. This does not mean its not attractive to the seasoned user too. Distrowatch gave it their best in its class. It is very lightweight and blisteringly quick with the LXDE desktop. The download is under 600Mb so it fits on a CD. Great for older machines too. I would recommend it to anyone. I've been using peppermint since version 1. I came over from Mint Mate. There was a small learning curve as I learned the LXDE. When I want an OS that just works, It's my choice. I keep it on a USB stick and my first choice. I was surprised as to how muck faster is runs than Lubuntu. Peppermint is indeed good. I haven't reviewed it in a while. I think it was version 2 I reviewed. I also recommend SolydXK. As it is based on Debian testing branch, it is a rolling release. The team of this relatively new distribution does a great job with integration, default package selection, and testing. 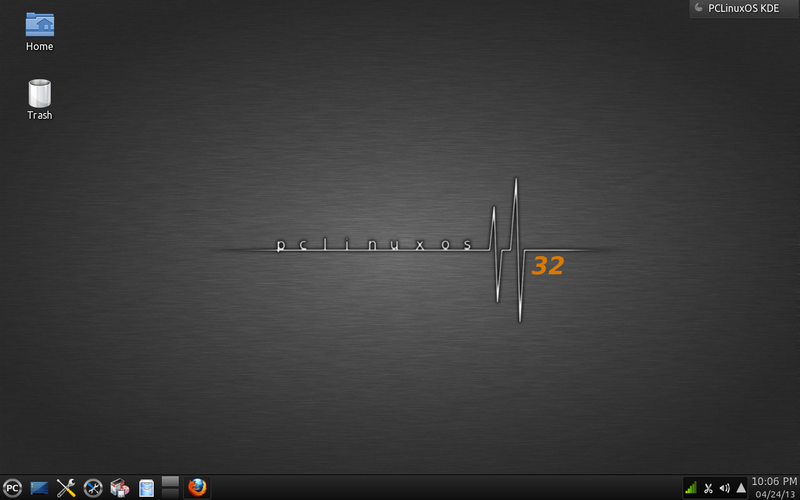 I use and really like Debian, Mint, Mageia, Puppy, openSUSE, and Ubuntu 12.04 as well. I haven't considered myself skilled enough to give Arch and Manjaro a try as of yet. I have reviewed SolydX in the past (see the reviews link at the top of the page). It worked really well. I haven't tried the KDE version yet. I ran Manjaro as my main operating system for nearly a year straight(KDE, XFCE, and Openbox) and it works great out of the box and will not break unless you purposefully tinker with it. I myself am still a bit less than Intermediate, but I think Manjaro is a definite choice for absolute beginners(That are willing to check the forums IF problems do arise) The manjaro forums are comparable to the Arch Wiki aka Very helpful. The KDE and XFCE versions are probably the most stable, Whereas Openbox and community versions are more prone to breaking. Has anybody tried out Pear Linux OS?? I am seriously thinking of giving it a shot.. Unfortunately, Pear Linux has been discontinued by the developers. The .iso is still available on Source Forge I believe just for archive purposes but for all intents and purposes it's a dead distro. I may be a bit fanboy-ish, but, what about Enlightenment DE? Well, the author made no bones about the fact that he was only going to talk about the top ten distributions of Linux on Distrowatch. No Enlightenment based distribution appeared among them (though of course E17 is available as an add-on for most of them). However, as you are probably aware, the most newbie friendly Enlightenment based distribution is probably Bodhi Linux. It's based on the latest stable version of Ubuntu (currently 12.04) and has E17 preconfigured to make it easy for a new user. "openSUSE is a community distribution with big backing". Considering the picture, I'd say a big front. Is that really the wallpaper that default comes with it? OpenSUSE does an amazing job of riding that fine line between "latest and greatest versions" and "stability." The installer has very sensible defaults and allows a surprisingly granular configuration interface.. even so, it doesn't overwhelm you with options. The options are easy to get to if you want them, but they don't get in the way if you don't want to bother with them. OpenSUSE YaST "one-stop" configuration tool makes learning how to customize linux very approachable to new users. Finding and installing software for OpenSUSE is nicely optimized. You can use zypper on the command-line, YaST if you want a GUI, and if you want to search for software beyond the repositories your system is checking you can go to "http://software.opensuse.org&quot; and search for it there in the "Package Search" field near the top. The regularly updated manual for OpenSUSE is well written and covers quite a bit of ground (http://activedoc.opensuse.org). The OpenSUSE Build Service provides a free online software packaging service that makes it much easier to generate packages for versions of OpenSUSE as well as SLES, CentOS, Fedora, Red Hat Enterprise Linux, Ubuntu, Debian and Mandriva distributions. OpenSUSE is to SUSE as Fedora is to RedHat. This means that Novell has a vested interest in the reputation of OpenSUSE and the quality and professionalism of SUSE is shared by the OpenSUSE community as well. OpenSUSE gives significant attention to the major desktop environments and the availability and quality of server packages (Apache, PHP, Postfix, MariaDB, et al) is more than adequate. It may seem obvious by this point, but I highly recommend giving OpenSUSE a try. Great distro, great community. I am not sure why a picture of an actress/model is frowned upon. openSUSE is a good distro and I am preparing another review in a couple of weeks time. Because people read into things too much, Even if the distro DID come with a picture of an actress/model(Which no developers are dumb enough to do) it shouldn't be read into so much. openSUSE seems nice, but i've never given it a try because iv'e heard that its a bit "bloated and slow". Debian: Not sure what people find difficult just go to, synaptic package manager install 'firmware-linux-nonfree'. For graphics if you want ATI non-free install 'fglrx-driver non-free' ..your free operating system now runs proprietary. Not quite that simple – you forgot the part about adding the repos in the Repositories section of Synaptic. Or adding it from the command line. Debian: A couple of installs and a couple of command lines to run ..is that really a problem, does your mother still wash your clothes for you and cook your meals ? "Does your mother still wash your clothes for you and cook your meals ?" No, my wife took over that job, and I am glad she did, and yes, a couple of command lines to run, can be a problem…for some of us. "Debian: A couple of installs and a couple of command lines to run ..is that really a problem, does your mother still wash your clothes for you and cook your meals ?" The same could be said about the likes of Arch Linux or Gentoo or LFS, yet I wouldn't recommend those to absolute beginners unless they like a challenge. The fact that it requires "a couple of command lines to run" already makes it that much closer to an Arch-like distro. Many of the "beginner" linux users come from a Windows or OSX environment, where they might have NEVER used a command line. Though obviously I do recommend Linux users to use the terminal more, even if it's not "required". That's one reason I like arch/arch-based distros like Manjaro, they encourage the usage of the terminal/shell. The pictured desktop background for Fedora leaves the impression that this is "end of the road – only limb ahead. Keep out unless expert – missteps are deadly". Its a great picture and hopefully photoshopped. But it goes way overboard. Worse – it scares away newcomers. I've been using Fedora/KDE for a long time upgrading/reinstalling every half yearly release. Sure, Fedora has had issues but which distro hasn't?. They were never more than annoyances and never showstoppers. True – they user has to post-install a few packages for for example some multimedia access as Fedora doesnt bundle them for legal reasons. But thats the case also with SuSE and perhaps other distros. Updates to Fedora are small but frequent, as in weekly, and automatic but not required. And right now I can't remember which and when was the last update which introduced an annoyance. Also, Fedora, SuSE, Ubuntu and perhaps others have the advantage of support of a real company in addition to the community. But it sounds like Fedora will not be allowed to rest because the Fedora.next initiative talks about forking a product for workstation, cloud and server. My choices change regularly depending on what I am reviewing but I have had Ubuntu and Kubuntu installed on my main laptops for a while now. I have Lubuntu on the netbook. I have used Ubuntu for several years but was looking for a flavor that would work well on older machines. I installed Lubuntu which worked great, I came across a new to me distro that I saw an article about on this site which was LXLE Linux, this is based off Lubuntu /Ubuntu LTS releases. This is one of the most well built easy to install distro's I have seen that comes with everything you need while working great on old hardware. I recommend you check it out. I have LXLE listed as a distro for me to check out this year. What would you recommend as an SMB server that also has a users desktop. Arch is difficult when you compare it to the likes of Mint, Ubuntu, PCLinuxOS etc. You are right to say that it is all comparitive. Arch is of course easier than installing and using Gentoo and building Linux From Scratch. This article was all about setting expectations and I don't think I am wrong in suggesting that Arch isn't really a beginner's distro. You didn't distinguish between rolling releases and fixed releases. Both Arch and Manjaro are rolling releases and thus updates can sometimes trash the system and it's sort of expected that you'll know how to sort things out. Manjaro is generally regarded as "Arch plus a couple of days". Arch is a great deal more cutting edge than Fedora is for the same reason – Fedora does fixed date releases and Arch just goes on and on, updating and upgrading as the days go by. By comparison, Debian feels out of date. Whilst the average Windows user is still on Windows XP (released over 12 years ago), Debian has software that was new a couple of years ago (positively ancient in the world of GNU) – but Debian is generally very stable (it just looks awful out of the box – rough looking fonts, grainy window borders, dodgy fonts, etc). Fedora's average release cycle is every 6 months – this is rather frequent for Desktop users and it must be remembered that Fedora exists as a developer's platform for contributions to Red Hat Linux – Fedora really isn't released with long term Desktop use in mind. Ubuntu have deviated so far from the path now that they are increasingly unrecognisable as a Linux company – they don't even use the word Linux anymore. Coupled with various appalling design decisions and software policies, it is my opinion that they are not to be trusted in the long term. They'll either add some proprietary spyware in or, more likely, try to build a fence round "their" files and prohibit the use thereof by anyone other than "Licensed developers". Missed off your list, for no other reason that it's just outside the top ten at distrowatch, is elementaryOS – based on ubuntu, but polished to perfection – beautiful out of the box (their choice of Apps is a bit messed up but it's easy enough to add more appropriate ones). You are right about the rolling release point. I should have included that and will update the article when I have time to include this information. ElementaryOS is a really good distribution and has been reviewed. (Check out the reviews link at the top). Release, but we have increased it. There is no plan to change that. Maybe the last line is not appropriate? I was really shocked to read it. I experimented with various persistent live USB installs before settling: I recommend this approach for Windows users not anticipating some major issues quite apart from stability, look and feel of the OS. Live USB avoids hard drive installation to test functionality on that machine, compatibility with peripherals, ease of updating and replacing software, comparing preinstalled software, and checking out support drocumentation and user forums. I eventually settled on Mint XFCE, not as "best" but best for my purposes with less nuisance time on things that don't work or replacing preinstalled software with what I like better. Newcomers should also be aware they are probably going to have to completely reinstall and then reconfigure personal preferences for the OS and all software at least once a year: something of a shock to folks that have XP and all software fully up to date after seven or eight years. Even Ubuntu and other "Long Term Support" versions don't really maintain third party software repositories for more than a year or so, sending users into special under the hood techniques or reinstallation of the OS. I think that Windows XP users would do well to use a rolling release distro which updates as it goes without the need for upgrades and re-installs. The article was really just going through the top 10 on Distrowatch. Gentoo is something for another day. Good analysis. One small thing, many new users may be re-purposing older harware to replace XP, and the beginner-friendly distributions listed, with the possible exception of PCLInuxOS with LXDE desktop have grown a bit too resource heavy for old hardware. I'm in the Philippines, where old PCs live longer, and I do frequent installations on aged XP boxes. Linux Mint used to be my go-to distro until #9. After that it hasn't done well. Now I use lighter beginner-friendly distributions such as Lubuntu, LXLE and Zorin Os Lite. I have used most of the distros on this list besides Mageia on my laptop and they all run fairly well. I have even ran Manjaro KDE edition without lag / performance issues. Pretty much any distro with XFCE / LXDE can run well on older hardware. If not then you can install E17 and lightweight GE's within the distro. 94% Knoppix DVD in USB. Easy, complete, fast, stable… Solid as a debian rock. 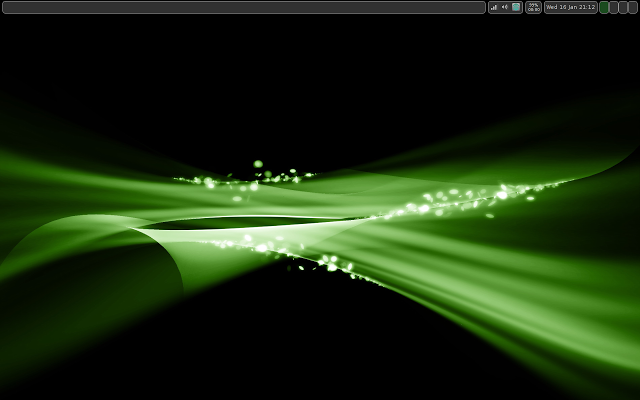 For me Knoppix is perfect. Interesting. Do you find a performance lag because of the USB drive being naturally slower than a hard drive? openSUSE Not easy for new users. These are the top 10 distributions based on Distrowatch rankings from 2013. My list simply looks as how suitable I believe these are for new users. nice selection. Speaking about Mint, should be mentioned LMDE (Linux Mint Debian Edition), that's rolling and -as the name says- based on Debian instead of Ubuntu. It's easy and friendly, as the main Mint branch. About Manjaro, it's really easy to learn to use and manage it. Deserves to stay in the top 10 list. Ubuntu…Commercial. Out to control their users,"
So you're saying your opinion on distros based on political beliefs? That's worthless. "Mageia … Never got it running on my system yet "
Now you're saying an opinion based on something you have never ran and based on your own skill level / intelligence? Also he never said debian / fedora were necessarily for "new users" he said they were "a step up" from the beginner distros. I think someone needs to reread the article 😛 and not confuse political beliefs with good advice. I've tried everything on the list expect Magiea and OpenSus and if stability was one of the criteria, Manjaro shouldn't be there. It can give you some baffling issues, though its is rather newbie friendly and might be a good stepping stone before newbie gives a serious shot at Arch. I think then there is one article due for that considering recent XP user drive at linux world? Thanks for the information, but I am still confused, Which distro suitable for beginners? Man, you are really doing Arch a disservice with that screenshot from a virtualbox not even logging to a desktop. It raises question for me at least about the whole comparison you took in this article. The same holds true about Manjaro. Barely screenlocks. You really must be doing some covert operations under those hoods. Shame. Didn't you realize they look better if actually showing the same working space as they show on the others. So people will be deterred from even trying them in contrast to the others. For me this article is a fail. Good Luck next time. I knew the others looked good but I didn't imagine Arch and Manjaro looking that bad even moreso as I am using them. The main points are driven in the text that comes within the article. Each item links to an individual review. I don't think even the most hardened Arch fan can say that it is suitable for the average everyday computer user. I can't imagine my mum for instance getting to grips with it. She would however be able to use Mint or PCLinuxOS. Now that Mr. Softee is killing off XP can't someone come up with a Linux OS to replace it? Something as simple as XP is to install and run. Here's a chance to up grade Linux to a system that everyone can use without knowing the insides of the system, just be useful. Thanks for taking the time out to do this for people like me, who have spend most of their time stuck on XP and now want to try Linux after just getting sick of MS OP system's. I noticed one of the operating systems I keep seeing bundled with the (Linux for dummies) books and other beginner’s themed Linux help sites is Knoppix. Is this just a bloat-ware ad-ware soaked version so being bandied about for the vendors to gain extra revenue? Or is it just a case of not being beginner friendly? I'm still teetering on the edge of the mint and Debian, just intrigued on how much Knoppix keeps popping up a lot more than Mint and Debian causing a little confusion as it's not listed in your list above. Knoppix is actually a very nice distro (http://www.everydaylinuxuser.com/2013/10/knoppix-72-its-alive-er-i-mean-live-as.html). However it is designed to be booted from a USB drive or DVD and not installed anywhere which is why it comes with Linux for dummies books. You can use it, play around, remove the drive and not touch your existing operating system. Lots of people carry Knoppix around on a pen drive for troubleshooting other people's computers or just so that they can have a familiar Linux environment when they are away from their own computer. That pretty much just explained the lot; I did not know it was only bootable from an optical drive or USB. As being totally clueless and a bit confused about all the Linux systems being bandied around maybe using the CD based system would be an advantage for quick easy use. I'll give the Interview a look now thanks. Keep up the good work Gary this site has been a big help. As a newbie to Linux, this really useful, thanks. I'm buying a new PC for my wife, who has very simple requirements – email, word processing and general surfing – thus I do not want to add further to Mr Gates' fortune, and am instead looking at buying a system with just DOS. I'm thinking about either Zorin (which looks pretty simple and comes with loads of freeware) or Linux Mint. I know I can try out both, but I don't want to frighten her by changing the interface. Any thoughts if one of these is better than the other for my simple needs? 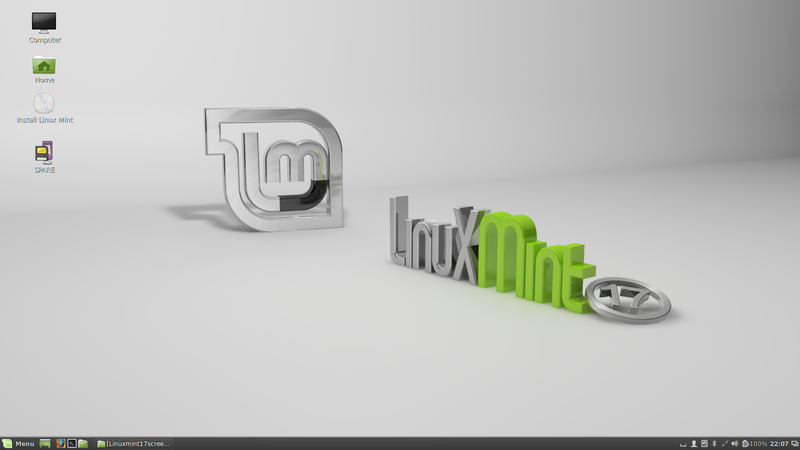 Linux Mint is probably the one to go for. It is a long term support release and has a familiar looking interface. There is probably less work ahead for you with Linux Mint. There isn't much in it but Mint is a bit more polished and more stable. Thanks Gary, most helpful, I'll give it a go. which linux is best for internet user ? I'm running linux mint on a dell E1505 with dual boot to either Windows or mint. Tried a lot of distros and mint seems the easiest and fastest. It just works. Runs circles around Windows. The distros I tried have come a long way. Time was if you didn't know anything about unix you were pretty much out of luck with linux. You have missed the backtrack / kali Linux in this top 10 list i think! THX IT WAS A GREAT HELP FOR ME! !